Of late, Chicagoan re-edit master, Cratebug, has seen his work destroy dancefloors the world over. Now we get to get them all compiled on one big juicy long player. 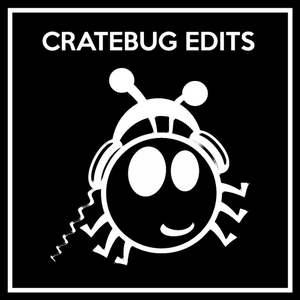 There are 12 cuts featured here on Cratebug Edits Vol 1, with some of the many highlights including the raw electronic arpeggios and frenetic drums fills of "Beatclock", the choppy and hysterical tight disco-house loops of "Hell Yeah Chicago" and the punishing thump-whack of the metallic "Ninos Ninas". Roll on volume two we say!